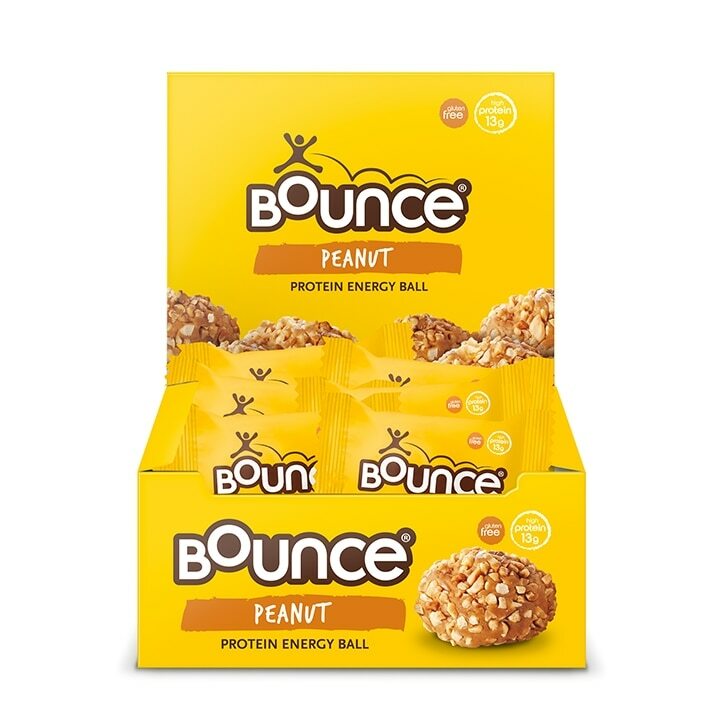 Bounce Protein Ball Peanut is a tasty pocket rocket packed with peanuts and high quality protein to fuel your body. With 13g whey protein per ball (from two different types of whey protein), and fats from raw peanuts, you'll enjoy the taste, crunch and satisfaction of snacking on this energy taste sensation. All natural ingredients, no added sugar and no gluten. Ideal for vegetarians. Bounce Peanut Protein Ball is rated 4.7 out of 5 by 23. Rated 3 out of 5 by Tinky05 from Lovely but not my favourite I have tried the othe flavour and really liked them but found this one had a slightly weird after taste. I usually love all things peanut flavoured. I probably wouldn’t buy this flavour again. Rated 5 out of 5 by Clarabel from My all-time favourite snack! These Bounce Peanut Protein Balls are divine, my favourite snack! They're chewy, similar to chewy toffee in texture but not as sugary sweet, with little bits of crunchy peanuts in the chewy mix and then a coating of them on the outside. Unlike some other snack bars, they're quite dense, which makes them satisfying, I never feel I need another straight away, even though they are quite small. The only downside is the price, but I stock up when Holland & Barrett have a Buy One Get One Half Price offer, or it works out cheaper to buy a box of them if there isn't any offers. Rated 4 out of 5 by Artisticwhisper from Perfect energy booster! I have one a day between breakfast and a late lunch. These are a really good energy and protein source, which ties me over until my next meal.